In June, Nicola Evans the 40-year-old former British “glamor” model went under the knife to remove her breast implants. 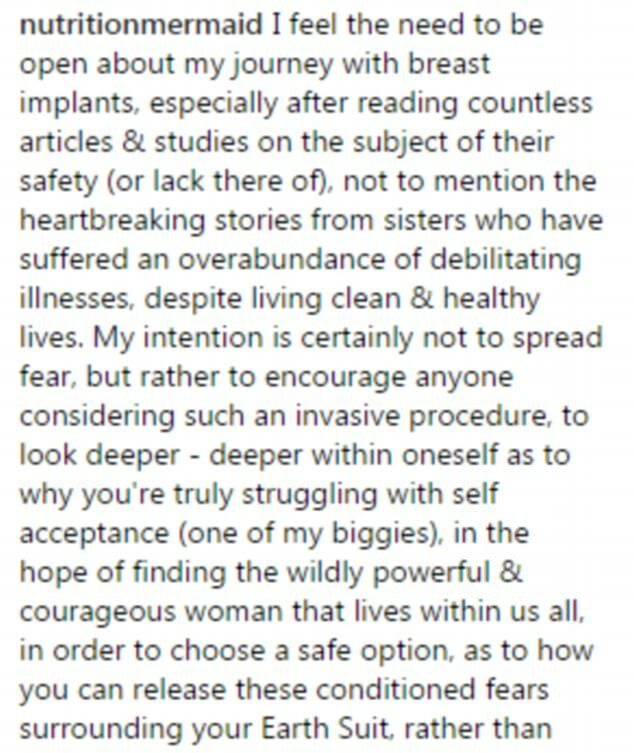 And this week she begged her fans to follow her lead in an emotional essay about the dangers of breast implants. She assured her fans that even though she had heard ‘heartbreaking stories’ about ‘debilitating illnesses’ that her purpose in sharing wasn’t to spread fear but rather to educate people. She explained that under the care of a very dear friend she received word that her implants simply had to be removed. However, she sees the toxic implants as the “deepest regret” of her life so she was glad to see them go. Her heartfelt message also included a link to her website and information about “breast implant illness,” a real condition that not all medical practitioners believe is real. But, come on. Agreed. We couldn’t have said it better. Daily Mail, July 10, 2017.